myBURGERbox | Because life’s too short for bad burgers! myBURGERbox is a monthly gourmet burger recipe kit service. We offer both monthly subscriptions or one-off box purchases. Everything you need and lots more. Ready to cook. myBURGERbox is a monthly treat for foodies, delivering ready to cook gourmet BURGERS, Bacon, Cheeses, Condiments, Salads & more, from independent & small-batch UK producers. Every month features an assortment of different products & flavours for you to discover & devour, as well as a seriously tasty, large 6oz burger. We are passionate about good food and where it comes from.  We concentrate on local produce and quality ingredients. 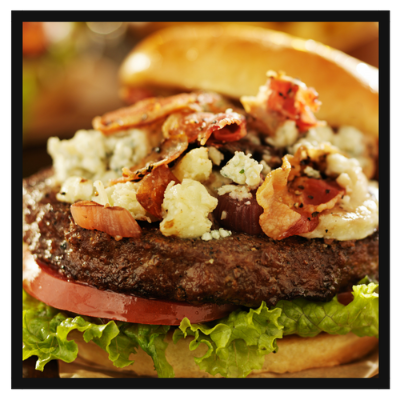 Burgers & bacon are produced by small-scale farmers who share our values of high welfare, naturally fed & free to roam animals. 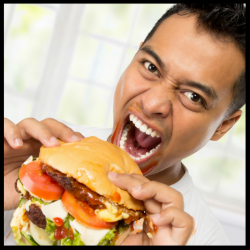 How can you eat a large gourmet burger without making a mess? You can't. That's why they're so much more enjoyable at home. Perfect for a great night in, PJ's recommended. Enjoy the excitement of unpacking a box packed full of seriously tasty, superior quality food. Let your taste buds run wild with the variety of cheeses & condiments. Cook your burger. Construct your masterpiece. Eat. Relax. Treat yourself with the ultimate comfort food. 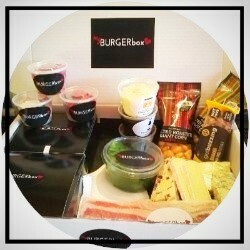 myBURGERbox is delivered, fresh, chilled & ready to cook. Delivery INCLUDED. Discover & enjoy a different BURGER every month. Choose myBURGERbox for 1 or 2 people. We deliver everything you need to create a super tasty burger. Fresh, chilled and ready to cook. All high welfare, top quality, British products. Unpack, get cooking and tuck in. There's even some artisan extras to nibble whilst you cook. Yum.